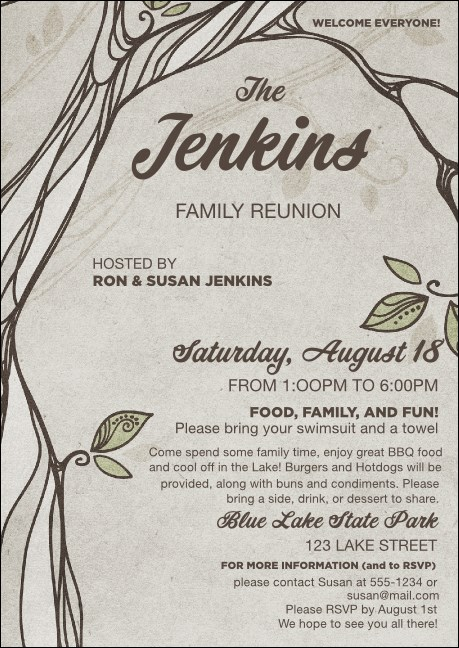 Make sure your family and friends make it to the party and send out the Reunion Postcard in advance. This beautiful design features and intricately sketched tree, with event details listed to the side. Pair with tickets, flyers and VIP passes from a Matching Event Kit! Grow your attendance with the right design from TicketPrinting.com.